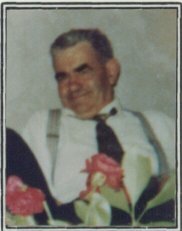 James was born on August 20th, 1898 in Clarenbridge. James' father was Martin Flanagan and his mother was Mary Murphy. His paternal grandparents were Patrick (Patt) Flanagan and Bridget (Biddy) Fahy; his maternal grandparents were James Murphy and Cecelia Crowe. He had eight brothers and four sisters, named Patt, John, Edward, Martin, Thomas, Michael, Antony, Michael, Bridget, Celia, Mary Kate and Norah. He was the second oldest of the thirteen children. He died due to natural causes or old age at the age of 88 on May 24th, 1987.